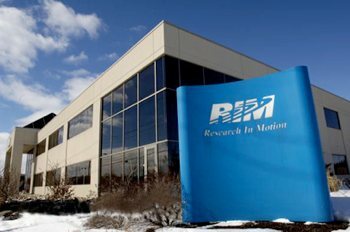 Research In Motion has announced plans to cut 2,000 jobs, or about a tenth of its workforce, as part of a previously announced cost-cutting effort. The move comes as the company's management is facing harsh criticism from anonymous employees and industry analysts following its latest quarterly results, which were marked by a slowdown in sales and delayed products. The reductions will affect all functions accross the company and are part of a plan to "focus on areas that offer the highest growth opportunities." Affected employees in the U.S. and certain other countries will be notified this week, while people getting the axe in the rest of the world will be notified according to local laws and regulations. The company added that it will have a global workforce of about 17,000 employees following the job cuts. Charges associated with the job cuts such as severance packages aren't included in RIM's forecasts for the current quarter and fiscal year; those details will be available when it reports fiscal second-quarter results in September. The company also announced new responsibilities for its top management "to create greater alignment of the organization." The most notable change was the retirement of chief operating officer Don Morrison, who is on medical leave, making way for the COO of products Thorsten Heins to take on an expanded role including products and sales. RIM's much criticized co-CEO model, headed by Jim Balsillie and Mike Laziridis, will apparently remain unchanged.